Etsy Workshop: How to increase your Etsy sales — Christina Made It. After launching the Etsy Educators workshop: Getting your Creative Business Online, for sellers new to Etsy, I had a number of enquiries about hosting a workshop for existing Etsy sellers. 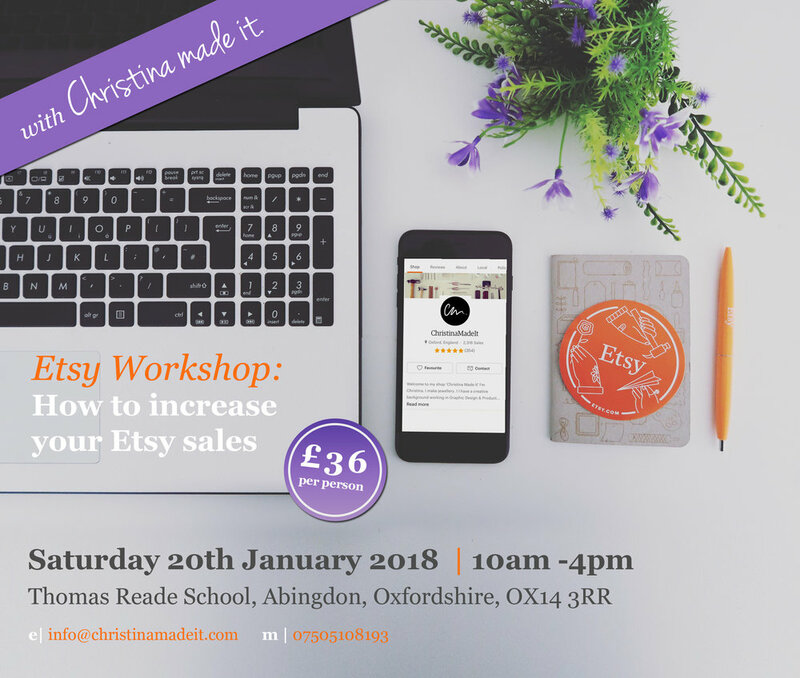 In response to this I am now holding a workshop in January for current Etsy sellers who are looking to increase their sales or improve their shops. I have a wealth of Etsy knowledge that I want to share. In my own Etsy shop Christina Made It I have made over 2,000 sales and now earn a full time salary from my business. We'll look at common mistakes to avoid and tips from getting the best from your shops. I'll be holding a Q&A session at the end. After the workshop you will receive a follow up to see how you are progressing. Please note there is a limited number of spaces for this workshop so that everyone gets the best experience. Get in touch if you would like to reserve your place or would like to ask any questions.